Thanks to ever-improving technology and the help of our trusty robot friends, the process of building cars is now faster than ever. In the 1960s, SEAT would make around five cars per day, with workers toiling away in hot rooms, drawing, constructing and painting the new vehicles. Today it takes just three minutes for the same number of cars to be built at the SEAT factory in Martorell, near Barcelona, Spain. 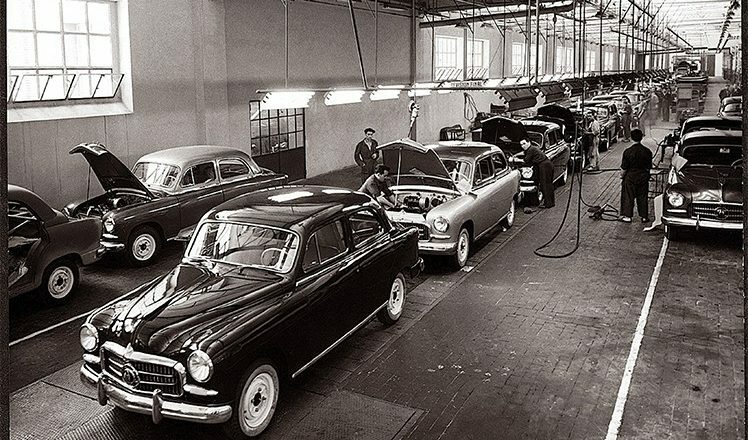 Fascinating footage shows how the process of car manufacturing has evolved over the past 50 years, with much of the heavy lifting now being taken on by state-of-the-art machinery. Designers have traded in their pencils, paper and erasers for tablets, virtual reality glasses and floating screens, and working conditions have rightfully improved to ensure the 40 degree temperatures and un-air-conditioned rooms are a thing of the past. Nowadays, staff work in a clinical and high-tech environment with heat-controlled rooms, alongside 2,000 hands-on robots. 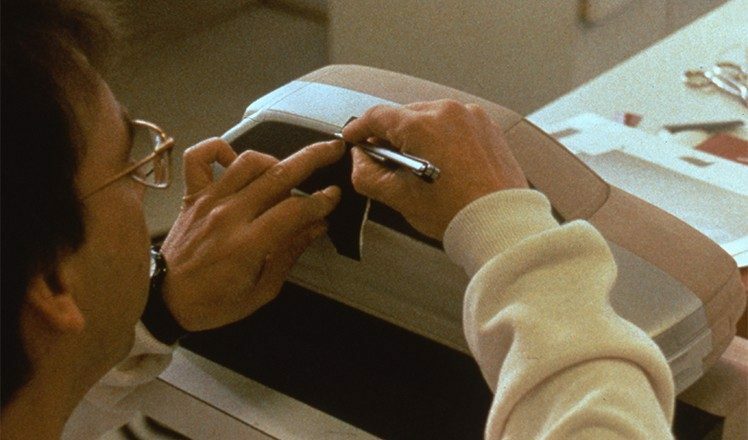 Where cars were previously painted by hand, now 84 machines are employed to create the flawless bodywork on SEATs. They are overseen by humans, and apply thin layers of paint in a spray booth before the latest generation scanner check the surface is smooth. Martorell also has robots working autonomously in the metal workshops and assembly lines. Thanks to the hard work of them, and the 7,000 human staff, 2,300 new cars roll off the production line each day. The high-tech process resulted in a record-breaking 517,000 cars being built at the plant last year, with 80 per cent exported from Spain. 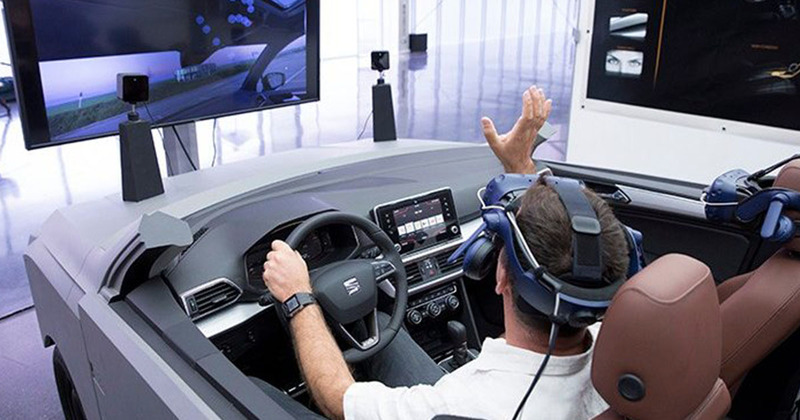 As well as transforming the way cars are produced, technology has also revolutionised the buying process. In the sixties it could have taken up to two years for a customer to get their SEAT 600, but today buyers can order their new car in 10 minutes, and with just five clicks of a mouse. While it’s great that buying a car is so easy, this ease of online shopping is a danger to bank accounts everywhere. SEAT released their evolutionary video as the company is set to move into the next stage of its history, with the production of electric cars. Soon we will begin a new, even more exciting, second phase with the ambition of being major players in the fields of electrification, connectivity and shared mobility. Everywhere we will be present, we will be striving to make cities cleaner and safer, and mobility more accessible. We will build expertise in battery technology, new fuels for combustion engines, 5G connectivity, autonomous driving functionalities, and in integrating our products into mobility platforms. The manufacturer has said it is developing six electric and plug-in hybrid models to meet the growing demand for alternatively fuelled cars. Figures released by the SMMT this week have revealed registrations of electric cars and hybrids is up by 14.7 per cent this year. Hopefully the robots will be just as efficient at churning out these environmentally-friendly cars!